If you're a ReBirth user, and you still need to use it ReWired to Reason, do not install ReWuschel! This is really old news, but I still keep bumping into Reason users that don't know this is possible or how easy it is to do. 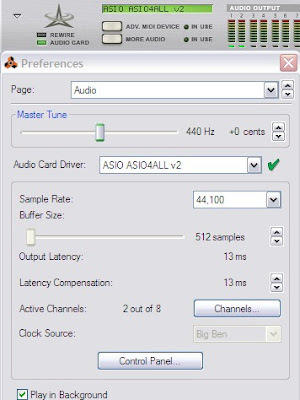 This little trick is really only useful to those that don't own a DAW or those wanting to use Reason effects in a live situation, including the advantage of playing side-by-side with a saved song and an included track with the recorded automation of all the effects tweaking and mix levels automatically applied to the live feed in a live performance. GlitchLoopBox simply allows to change on the fly the loop length, making the well known DDL-1 glitch noises one gets when tweaking the Delay Time. LiveLoopBox is exactly the same device, but with the Rotary knobs changed for the Volume Level of each loop slot. These devices are basically small simpler versions of the ReGRAINZeR without keyboard control.